A boy who took our Greatest Journey discipleship course lives a life of radical faith and trust in Jesus Christ. 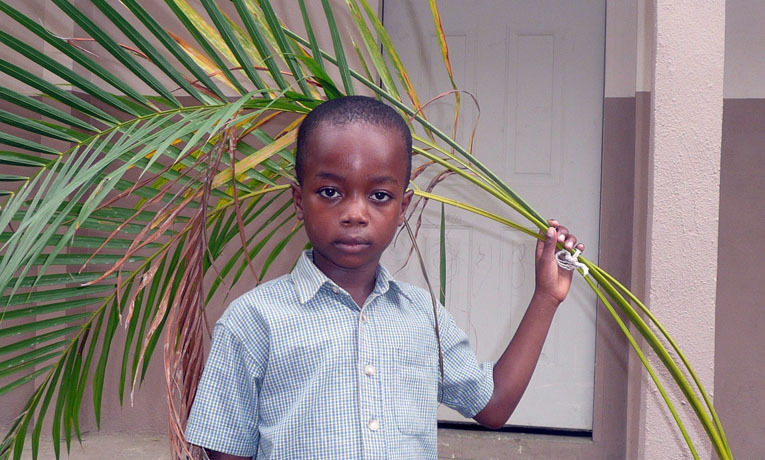 Seven-year-old Mike Alexis joined our youth discipleship club at the Baptist Church of Dufort in Leogane, Haiti. He lost his father during the earthquake in 2010 and has been living with his mother, who is a voodoo worshiper. This young boy received Jesus Christ as his Savior while participating in our Greatest Journey classes. Unfortunately, a few days after choosing to follow Jesus, Mike became ill with a fever. As is routine in Haiti for many families, Mike’s mother prepared a special bath with some mystical voodoo herbs for him. His faith in Jesus Christ and the knowledge he received during the Greatest Journey lessons compelled him to refuse. After many failed attempts to convince him, his mother became angry and threw him out of the house. The Greatest Journey club monitor, Hugens Benoit, took him into his home. She has refused to allow Mike back into her house because of his conviction and faith in Jesus Christ. After spending a few weeks in Hugens’ house, Mike’s grandmother took custody of him. Mike has held firmly to his Christian faith in spite of the consequences. He continues to worship his Savior and is an active member of the Baptist Church of Dufort. Praise be to God!